Edo state is one of the states in Nigeria that has strongly maintained its very rich cultural heritage. This state has Benin City as its capital and is occupied by the Binis, the Esans, the Aemais and people from other parts of Nigeria. The palace of the Oba of Benin is located in Benin City and was already existing in 900AD. The initial palace of the oba of Benin was pulled down by British troops and was rebuilt in 1914. This palace is not just the home of the Oba of Benin, it is also one of the most visited tourist attractions in Edo state. As a matter of fact, a visit to Edo state will be incomplete without a visit to the Oba’s Palace. Somorika hills are located in Somorika town in Akoko local government area of Edo state. These hills are believed to be seven in number and play the role of protecting the Somorika kingdom. Each hill that makes up the Somorika hills has its own name and has special features that make Somorika hills a sight to behold. Located a 42km from Benin City. It is believed to be the point of migration of the Oduduwa people from Benin to Yoruba land. Ugboton is of great importance to the Yorubas and the people of Benin. This land holds the answer to lots of questions regarding the relationship between the Yoruba and people of Benin. The death of Captain James Phillip and his troops was one of the events that led to the invasion of the Benin Empire. 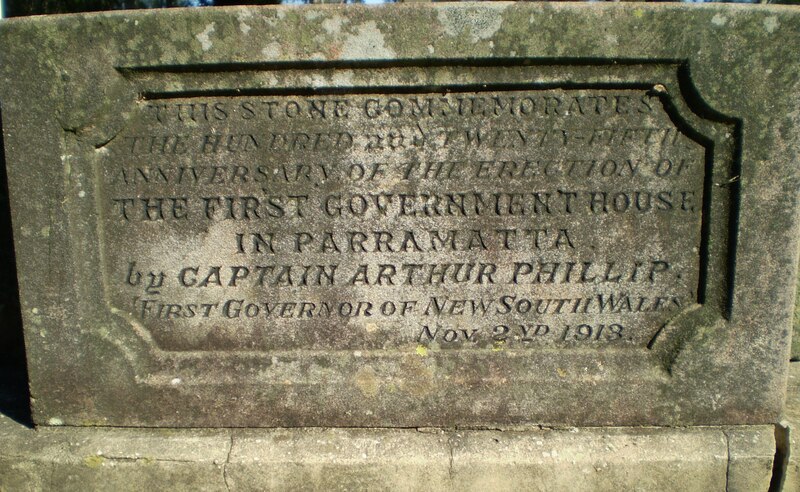 The tombstone of Captain James Phillip signifies the point where Captain Phillip was killed. It is a tourist attraction in Edo state and a place that should be visited by individuals that are interested in details concerning the invasion of Benin kigdom. A visit to Igu-Eromwon quarters is non-negotiable for every lover of arts. This arts quarters is a UNESCO Cultural Heritage and houses many of the popular bronze castings industries that are located in Benin. If you are looking to witness the casting of bronze in all its stages, you should visit Igu Eromwon quarters. Chief Ogiamen’s house was built in 1130AD. It is situated at no. 97, Sakponba Road in Benin City. This house was the only remaining structure after the invasion of the Benin Empire by the British in 1897 and it became a national monument in 1959. Do you want to know more about the history and culture of Benin City? Then, find your way to the National Museum. Just like a lot of the other national museums in Nigeria, the national museum in Benin will help you know about the history of Benin and Edo state. This museum houses a lot of the artworks that were kept in the Benin kingdom during the reign of the Benin Empire. Okomu national park is located in Ovia South local government area in Edo state. This park is home to the white-throated monkey, a rare monkey species. It also houses other animals such as chimpanzees, antelopes, and buffaloes. If you are interested in seeing some of the wild animals that you have always heard about, you do not have to go to the zoo, with a visit to this national park, you can have a look at some of the wild animals that you have always wanted to see. Over the years, Okonni wildlife sanctuary has successfully preserved the existence of some endangered animals. 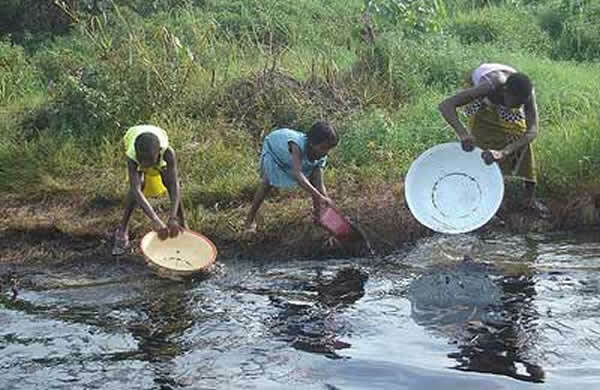 This wildlife sanctuary is located in Okonni, Edo state. It was established in 1985 and is a safe haven for lots of endagered species. Okonni wildlife sanctuary houses a lot of wild animals that cannot be found in the zoo and is a place you should pay a visit if you are interested in seeing some of the world’s endangered animals. 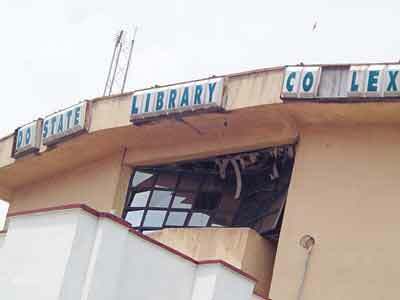 The Edo state library is a place that should be visited by anyone that has an interest in reading. The services at this library are free. Also, there is a wide range of books at this library. You are definitely going to find a book that you will love once you visit this library. Located between Edo and Kogi state, Ososo tourist center offers its visitors a golden opportunity to have an aerial view of two states at the same time. With a visit to Ososo tourist center, you can be in Edo state and Kogi state at a time without setting your foot on any of them. 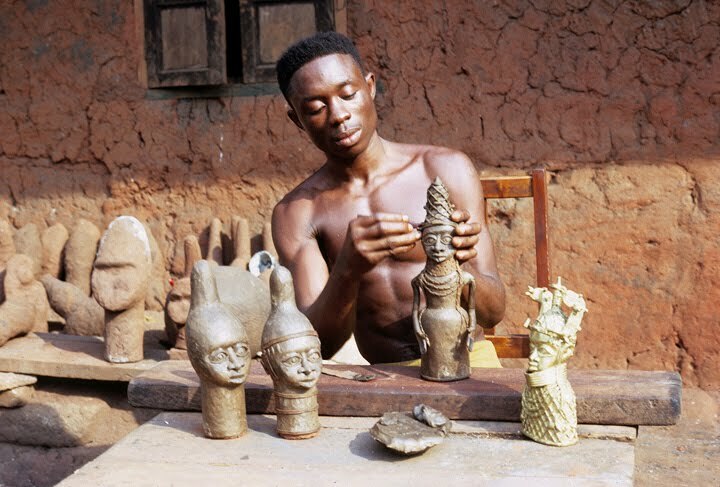 Igun bronze Casters and crafts center is the place to go if you are interested in taking a look at the most prestigious brass and bronze arts in Edo state. Igun bronze and crafts center is situated at Igun street and is a Unesco Cultural Heritage . Also known as Iya, the Benin moat was built before the advent of technology. It is the biggest synthetic earthwork in the world and played the role of protecting the Benin people from invasion in pre-colonial days. Although this wall is nothing compared to the great wall of China, to the people of ancient Benin, it served thesame purpose. Erected in honour of Emotan, a woman that was known to be a foodstuff trader at the very point where this statue stands. The Emotan statue is positioned just opposite the palace of the Oba of Benin. 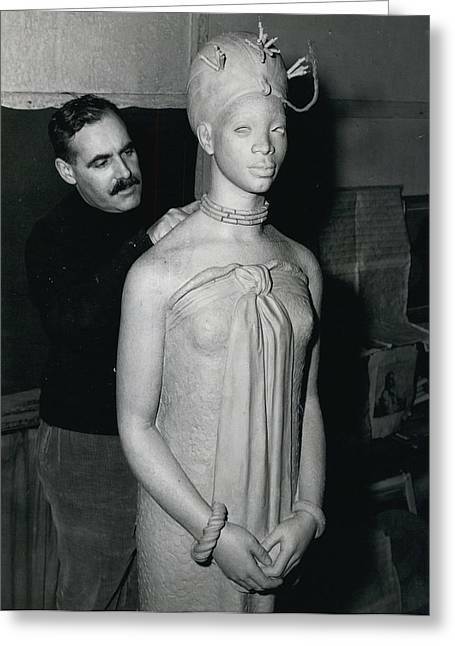 Although the significance of this stature is not exactly well-known, the Emotan statue is one of the amazing works of arts in Benin. The Gele Gele seaport was the first point of contact of the Portuguese with the Oba of Benin. After this contact was made, it became a point for constant trade between the Benin people and the Portuguese. Apart from legitimate trade that happened at this seaport, it was also a center for the sale of slaves. Egedege N’Karo is believed to be the first storey building in Benin City. It was built in 1906 by High Chief Osawe Iyamu. This building is located at No. 30, Erie street, off Sakponba Road. This building has been renovated quite a number of times to give it a more modern appearance. A visit to Kada plaza is just the best way to relax in an ancient city like Benin. This plaza features a Chinese restaurant, a cinema, a shopping complex, etc. There is something for people of all ages at Kada plaza. This, therefore makes it a place where you can spend some quality time with your family. This cultural center plays host to lots of cultural events that take place in Benin City. It was named after Oba Akenzua II, the Oba of Benin from 1933 to 1978. Apart from being a center for cultural activities, this center is home to the national art gallery. This church is believed by many indigenes of Edo state to be the most historic church in Nigeria. It is located on Akpakpava Street and was constructed in the 15th century. Although this building is a church, the mode of worship practised here is a mixture of Christianity and the traditional believes of the indigenes. Located at 28, Adesuwa grammar school road, Off Sapele road Benin city, Sanik hut is one of the prestigious restaurants in Benin City. If you are looking to have lunch in a place where the customer service is top notch, Sanik hut is that place. There are a lot more places to visit in Edo state. It will be almost impossible to visit these places if you are not resident in Edo state.